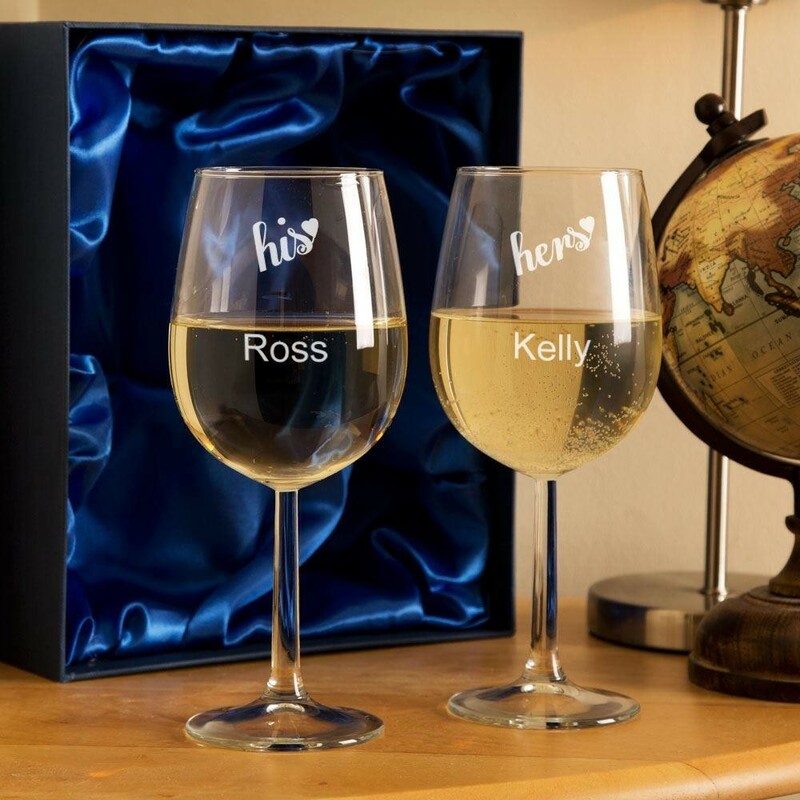 Add some romance to a night in, with our personalised His & Hers wine glasses. The set of two is customised for the couple, featuring their name on the glasses. Sitting above their names are the scripted his & hers text, with the added touch of a love heart at the end of each! 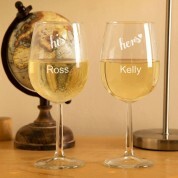 They're a lovely gift for any wine loving couple, and perfect for any romantic occasion! Ideal for weddings, anniversaries, or Valentine's Day – they make a great keepsake and practical present. A silk lined presentation box is included with the set of wine glasses.